MSC Cruises has revealed details of its 2016/2017 itineraries and among the highlights is the news that MSC Splendida will sail from Southampton. MSC Cruises is to offer its UK guests itineraries aboard all of its 12 ships for summer 2016 – offering a total of 270 sailings on 22 itineraries. These will be made up of nine ‘core’ Mediterranean itineraries of seven-nights; seven ‘longer’ Mediterranean itineraries of between nine- and 12-nights; as well as new Baltic and Norwegian fjords options. MSC Splendida, a Fantasia-class ship, is to sail on six voyages from Southampton. This will be the first time UK guests have been able to experience a Fantasia-class vessel in home waters. The departures from Southampton will include two 11-night round-Britain sailings in April and May calling at Le Havre (France); Hamburg (Germany); Invergordon, Kirkwall, and Greenock (Scotland); as well as Dublin and Cork (Ireland). Prices start from £899 per person based on two adults sharing an inside cabin. Additionally there will be four seven-night continental coastal cruises, calling at Le Havre (France), Zeebrugge (Belgium); Amsterdam (The Netherlands) and Hamburg (Germany). Prices start from £539 per person based on two adults sharing an inside cabin. During the summer 2016 season MSC Preziosa, MSC Divina, MSC Magnifica, MSC Poesia, MSC Orchestra, and MSC Armonia will all operate a variety of seven-night Mediterranean cruises. MSC Fantasia and MSC Lirica will offer longer 11- and 12-night Mediterranean cruises. MSC Fantasia will also offer seven-night Baltic cruises from Copenhagen (Denmark) while MSC Opera will be sailing seven-night Norwegian Fjords cruises from the same port. As described above, MSC Splendida will be sailing from Southampton. During the winter 2016/2017 season MSC Splendida and MSC Magnifica will offer seven- or 11-night Mediterranean sailings. MSC Divina will return to Miami and MSC Poesia will head to Bridgetown (Barbados) offering 7- and 14-night Caribbean cruise itineraries. MSC Fantasia will offer seven-night Emirates cruises from Dubai and MSC Armonia will offer seven-night Canary Islands and Morocco itineraries sailing from Las Palmas (Gran Canaria). MSC Cruises last sailed from Southampton port in 2014. While no MSC cruise itinerary will originate from Southampton this year a number of MSC Splendida and MSC Orchestra itineraries are due to call into Southampton as a port of call between April and September. 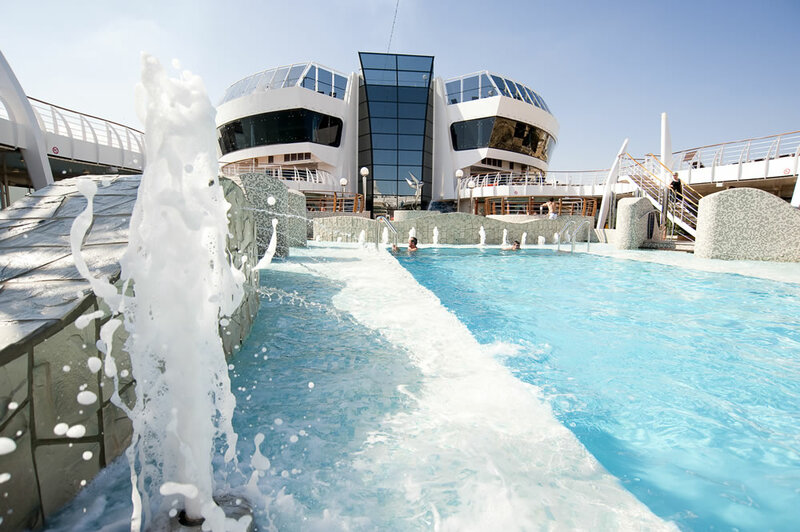 Their 2016/2017 brochure will be launched tomorrow (Thursday 2 April) and will feature details of all the itineraries as well as four teaser pages with information about the facilities planned for their new-build cruise ships including MSC Seaside.